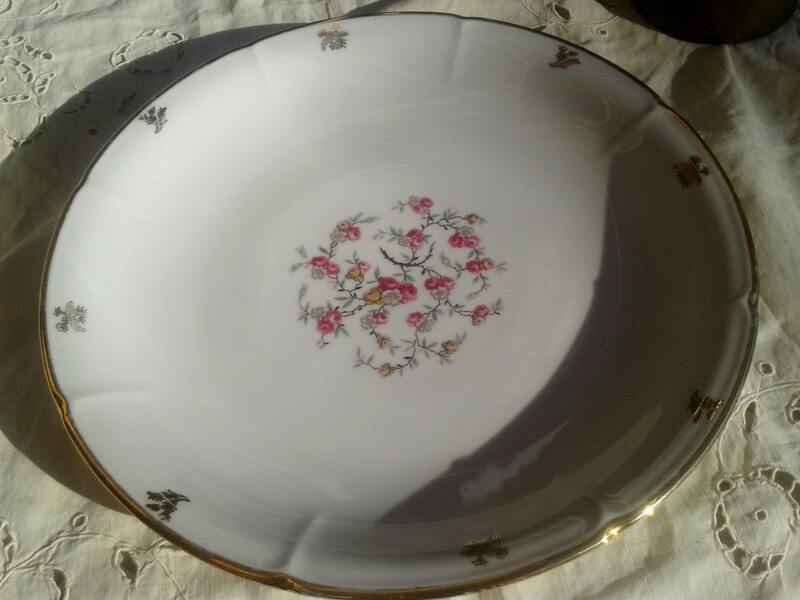 Antique 1900's Large White French Fine Porcelain Dish - White dish with a beautiful roses decor . 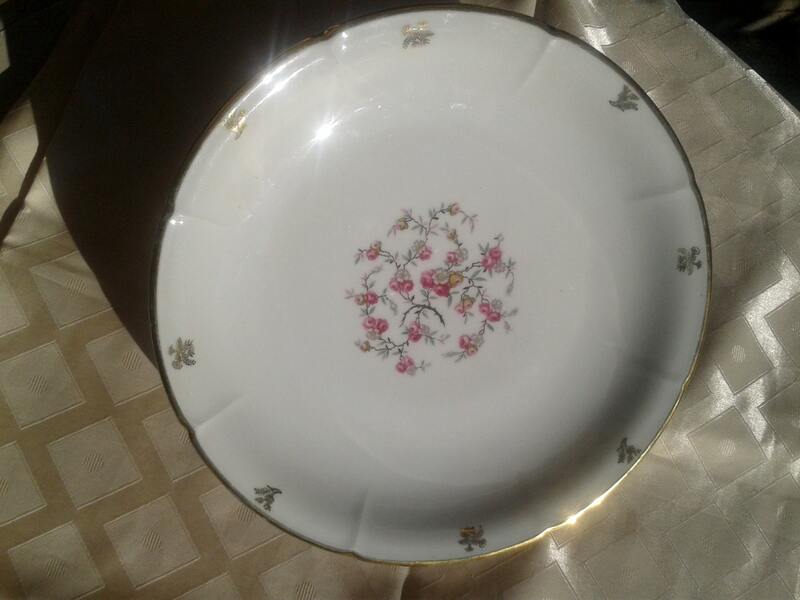 French serving plate. 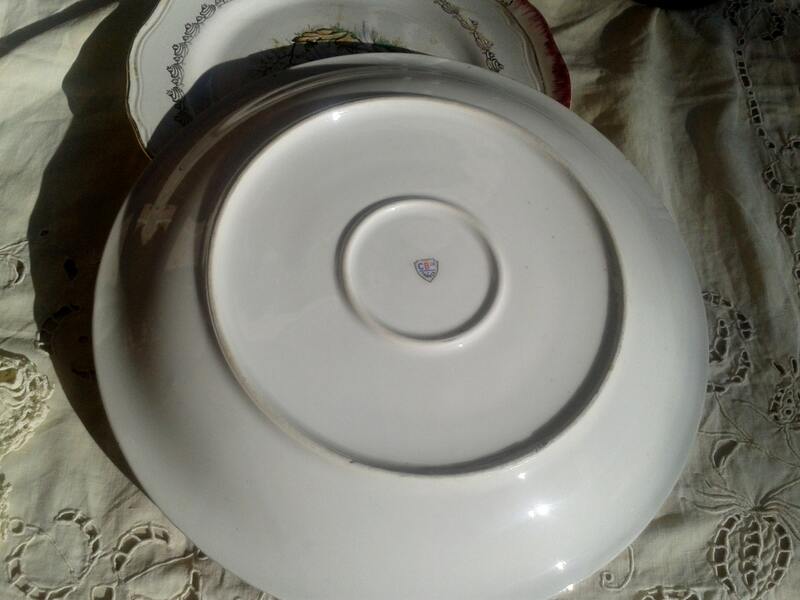 Signed Porcelaine CB et Cie . Meaning compagnie Cirot Gadouin from Vierzon. 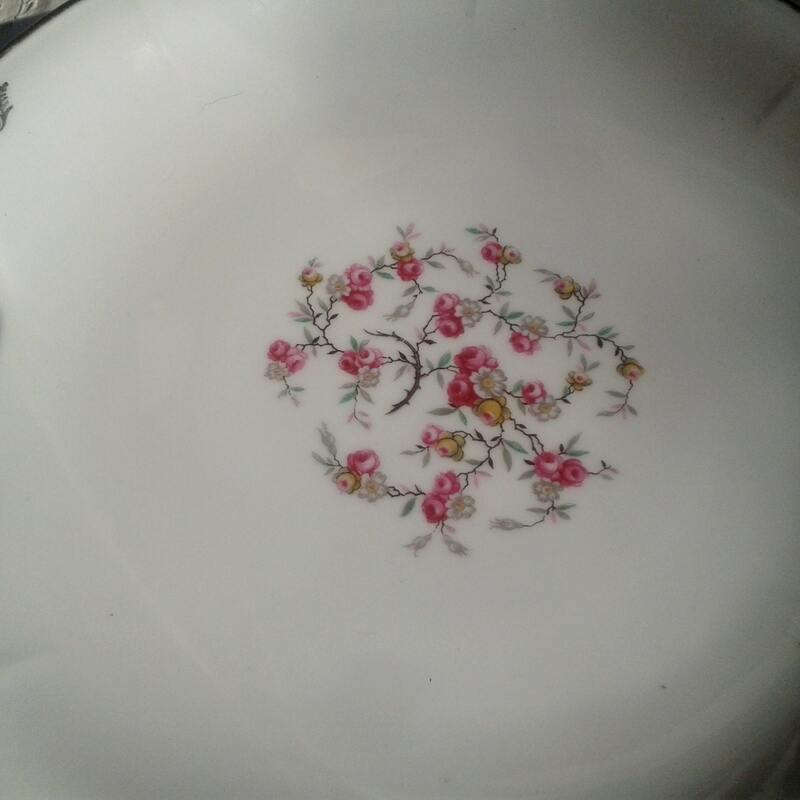 This dish was probably made in the early 1900's. 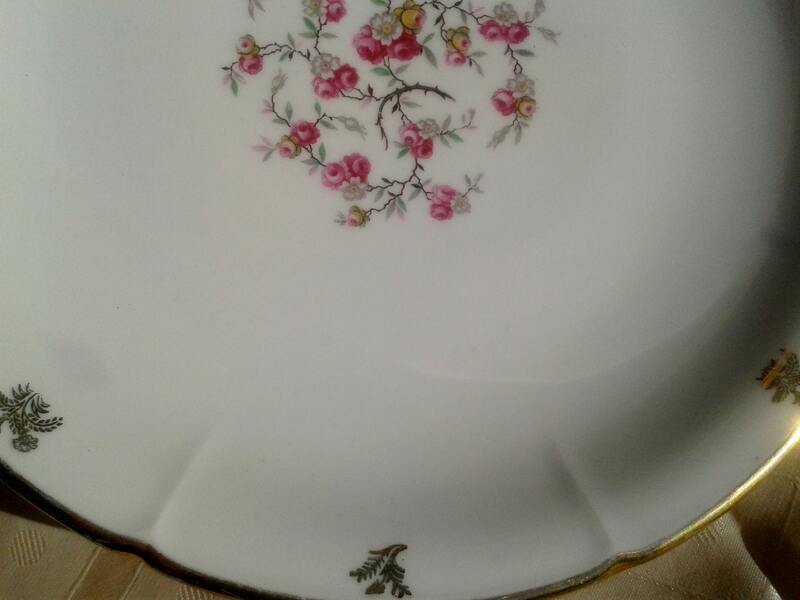 Beautiful fine porcelain plate gilded. Really gorgeous and romantic !